Bamboleo is a game of skill for all experts on gravity, and those who want to become one! 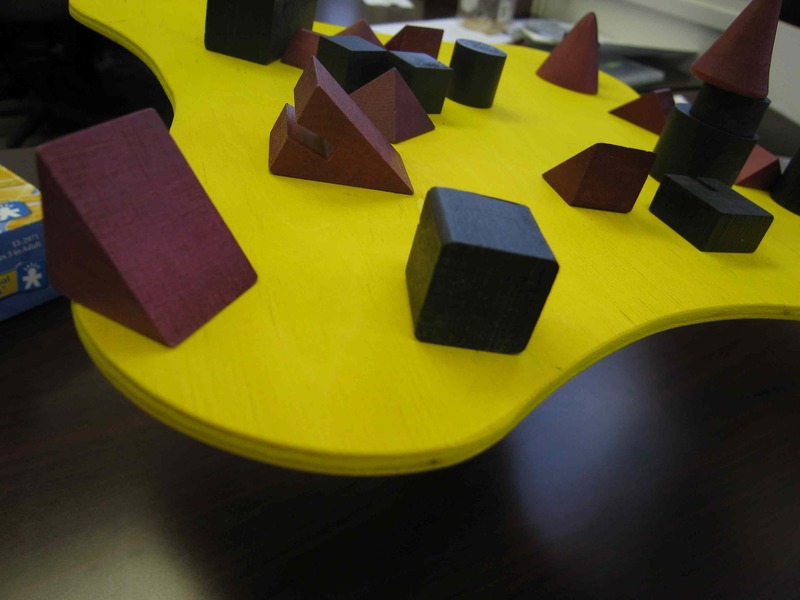 A flat disc is balanced on top of a column and laden with about 25 wooden pieces. Players take turns to remove pieces from the disc and, in accordance with the laws of gravity, Bamboleo always leans sideways in an incredible manner. The game promotes your sense of balance, our understanding of gravity, and the courage to take risks. But don't let your courage turn into carelessness, otherwise the wavering world of Bamboleo will collapse with a loud crash and all the other players will pretend that they had foreseen it.